On Friday, September 21, 2018, High Touch Technologies had the pleasure of awarding the Pat Riddle Memorial Scholarship to Wichita State University student Zane Storlie. 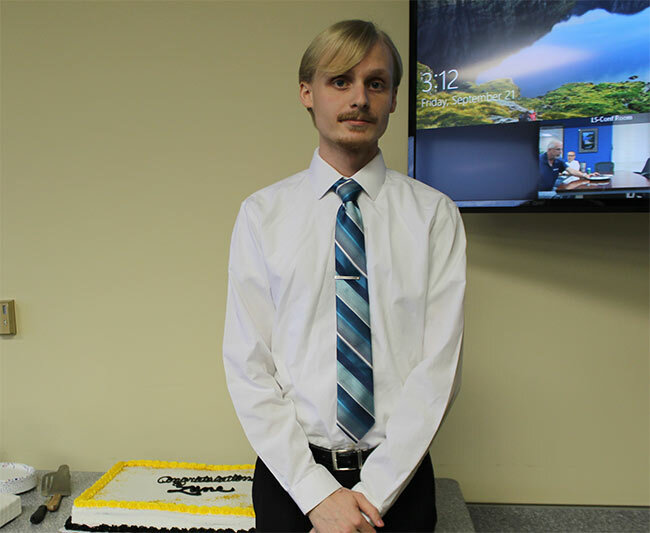 Each year, High Touch awards the Pat Riddle Memorial Scholarship to a promising WSU student in the computer science program though Wichita State’s College of Engineering. In partnership with her surviving husband, High Touch helped establish the scholarship in memory of former employee Pat Riddle. A graduate from Wichita State University, Pat lost her battle with cancer in 2015.